Back in 1837, as Colonel William Light observed the Barossa area, while planning his survey of what is now the Barossa Valley, he might not have expected that 150 years later, the natural rock formations would co-exist with manmade rock formations created from artists from all over the world. 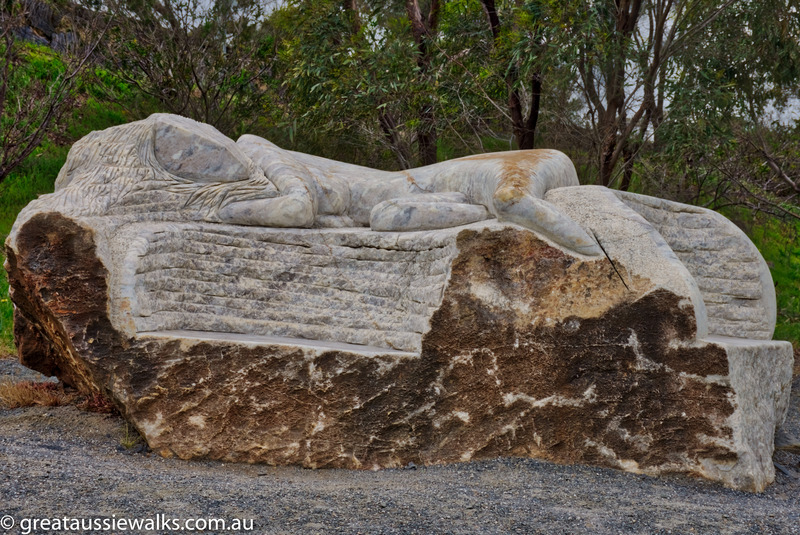 Dreaming by Australian artist Cliff Axelson; 1988. 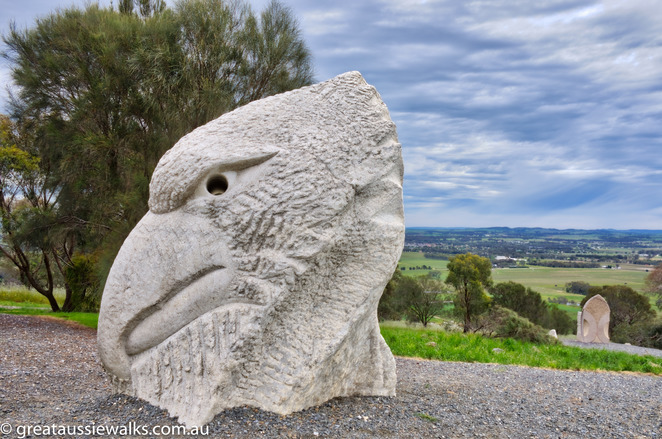 Reflecting when eagles soared around the hills of the Barossa. Located at Mengler's Hill in the Barossa Ranges, the Barossa Sculpture Park overlooks the Barossa Valley from one of the most popular lookouts in South Australia. 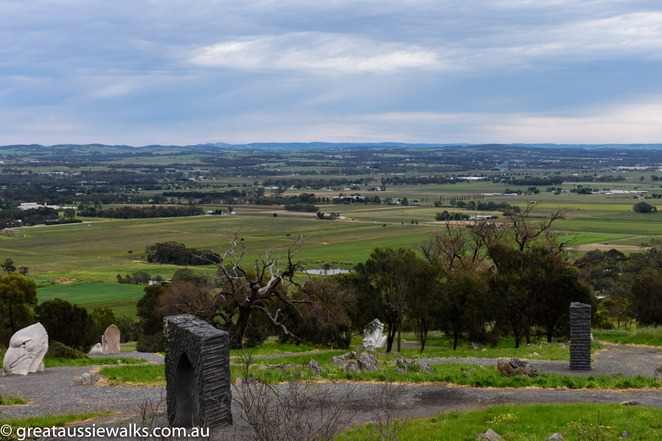 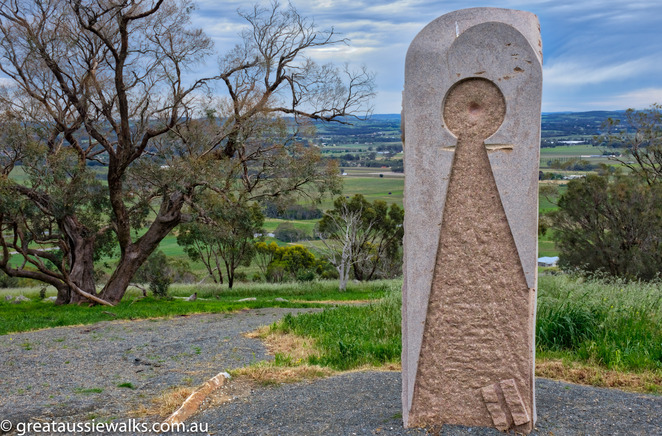 The scenic drive to the lookout travels up Basedow Road from Tanunda or Angaston to reach the car park and picnic area of the Mengler's Hill Lookout. 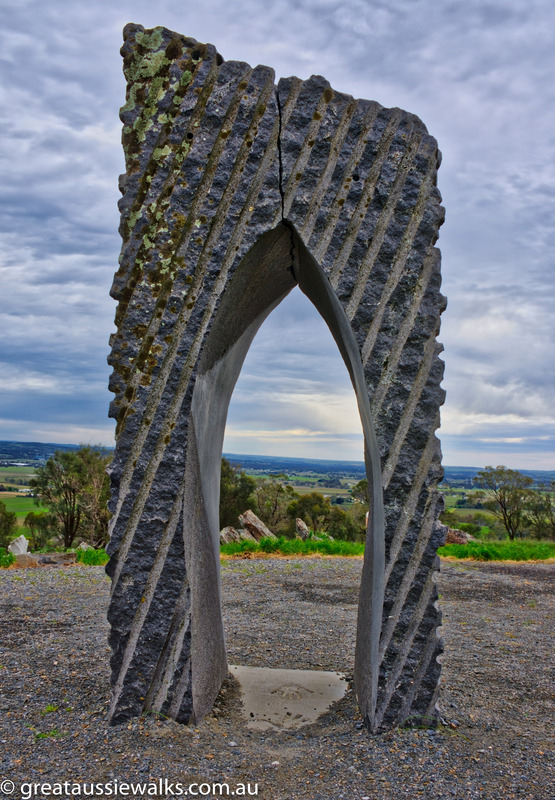 Named after an early vine grower, Mengler's Hill has been home to the Sculpture Park since 1988. Created by nine local and international sculptors as part of the Barossa International Sculpture Symposium, the park is open daily and admission if free. 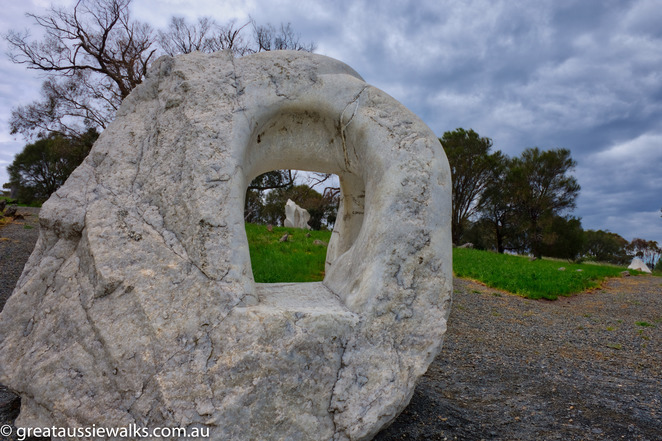 The short walking trail weaves around sixteen sculptures, nine of which were created from local marble and granite over six weeks in 1988. 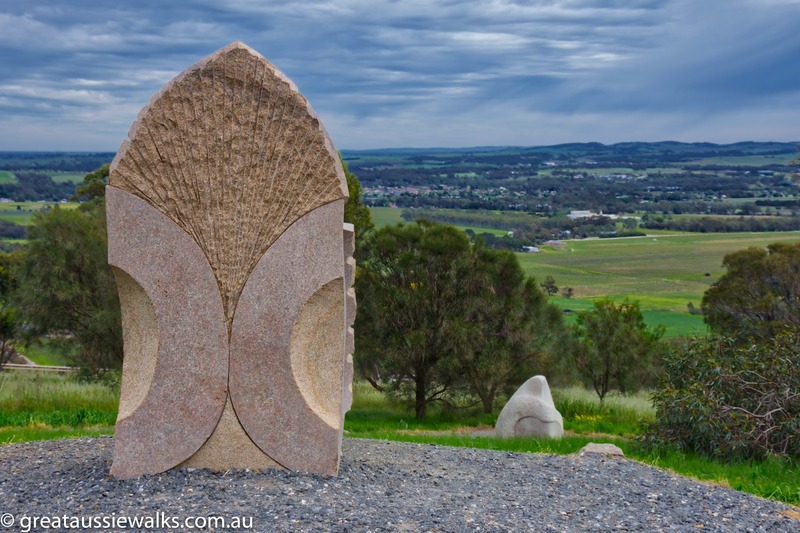 Sculptors lived with local residents during the creation of the abstract pieces, which were designed to reflect the environment and capture the spirit of the Barossa. 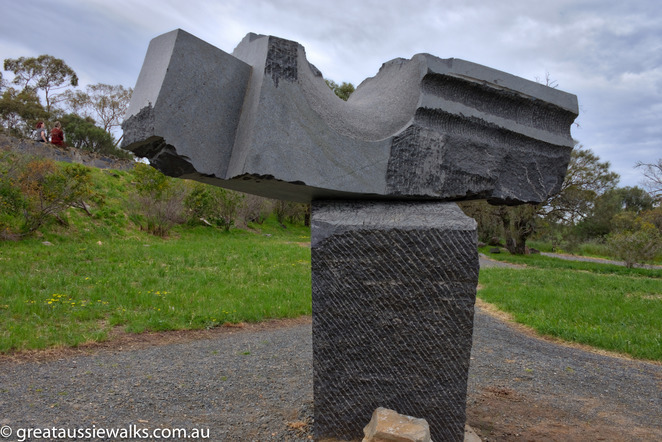 Celebrating the 20th anniversary of the Park, eight more sculptors carved black and brown granite pieces in the 2nd Barossa International Symposium in 2008. 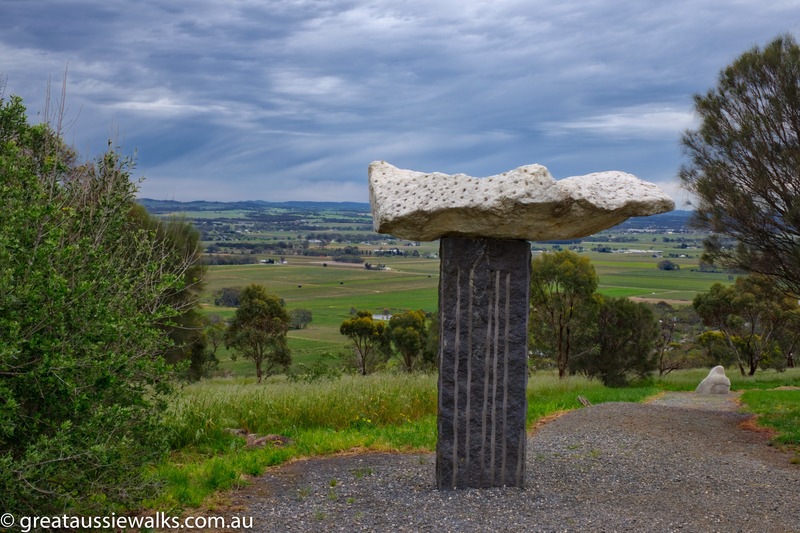 With the scenic backdrop of the Barossa at dusk, the unveiling event "Stones/Air" officially gifted the new sculptures to the Barossa Valley community. 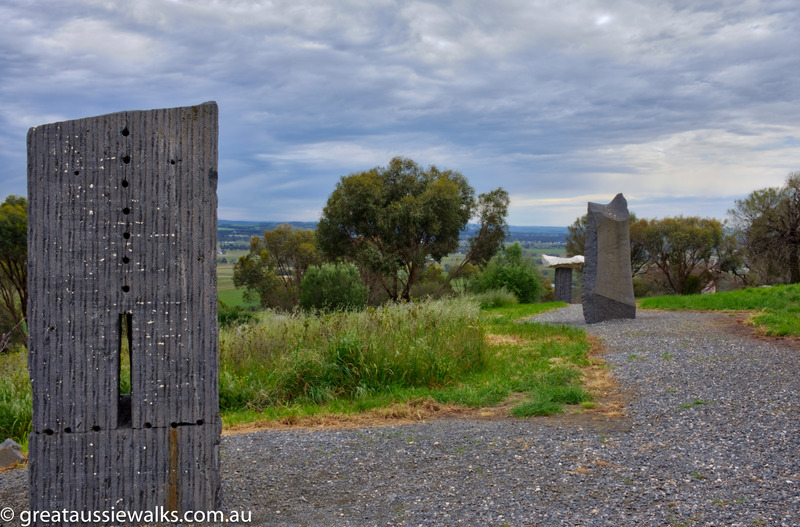 Managed and maintained by the Barossa Sculpture Park Committee, the park has picnic facilities and car parking but no toilet facilities. Accessed from the car park by a ramp or steps, the gravel path is suitable is an easy walk for any fitness level and is stroller and wheelchair friendly.